Split is the second largest city in Croatia after Zagreb, its population counting around 180 000 people. 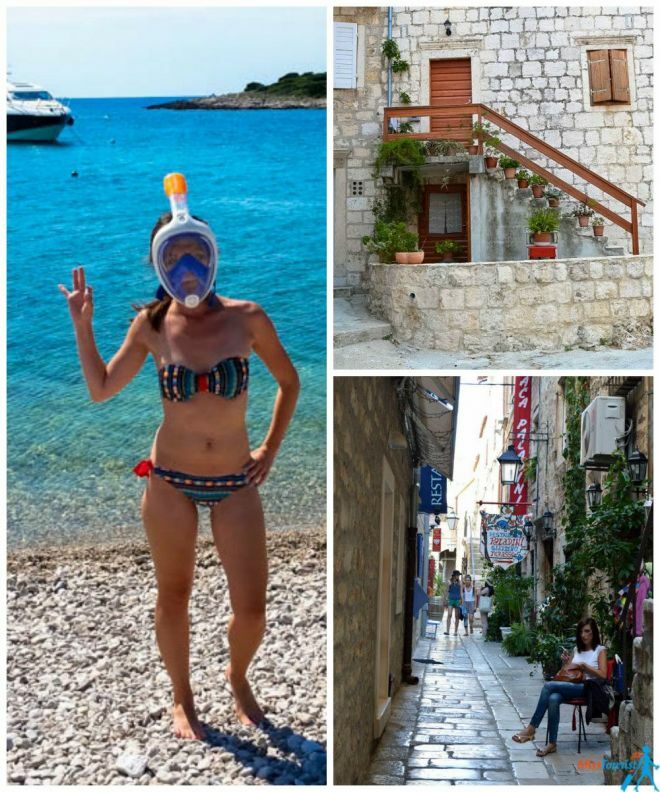 I simply loved my time in Split – believe it or not, I liked it the most from my Croatian trip! This is why I want to inspire you to go there with this list of top things to do in Split, Croatia! When I just arrived, I thought that one day in Split would be enough, but what a mistake it was! Split and the surroundings are so stunning and there are so many things to do that I kept prolonging my stay there. I ended up staying for 4 days there! Do not make the same mistake, plan the right amount of days in advance! If you are going to Croatia soon or thinking about it as a possible option for your next vacation, you should know that Split is a great choice! 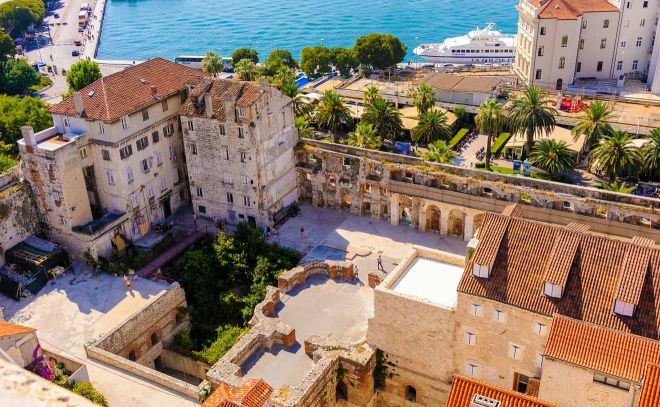 In this article, you will find about the top ten things to do in Split, plus some unusual things to do in and around Split, as well as transportation and accommodation options! 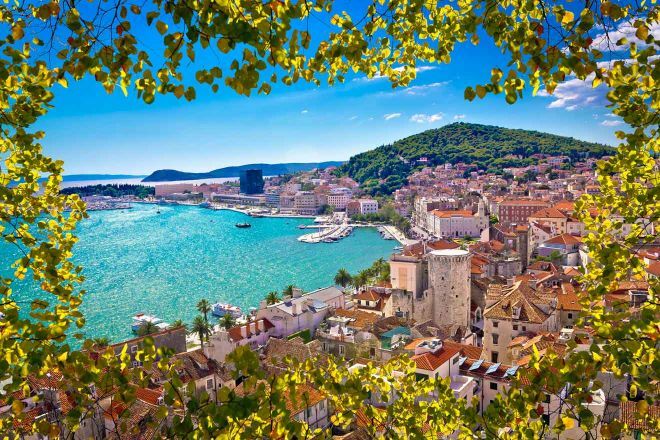 Here is a fast preview of the best things the city can offer to help you take your decision in case you are hesitant about whether you want to visit the city of Split in Croatia. Being a coastal Mediterranean city, the city springs great traditional culture, while also capturing modern influences as well. Split was under the rule of many empires, including the Roman and Austro-Hungarian Empire. This inevitably reflects on their culture, architecture, and mentality. Do you feel like exploring a bit? You have a variety of options and some beautiful islands to visit near Split like are Hvar, Brac, as well as others, are in close proximity. Games Of Thrones was filmed here! 😉 If you are a fan of the series, you can walk the streets of Meereen and Braavos and admire the amazing architecture and little streets that can also be seen in Game of Thrones! All these, plus the fact that the city is not as touristic as Dubrovnik (for now), makes it a great destination for your next vacation! If you’ve made up your mind and you want to add Split on your bucket list, let me tell you some of the highlights of Split, Croatia! The Old Town in Split is THE best Old Town you can visit, believe me! Everything is so greatly preserved and you will literally have centuries of history intersect right behind your eyes! The Old town of Split is such a treasure! It became a UNESCO World Heritage in 2014 and, because of that, many improvements have been done around this area. For instance, they have cleared the main Temple with special lasers. Nowadays, you will be able to see it as beautiful as it used to be thousands of years ago, which is incredible! I advise you spend at least a couple of hours in Split Old Town and make sure you explore it by foot. Some must see in Split Old Town are: Marmont Street, Pjaca Square with beautiful marble tiles, the Fruit Square full of traditional markets and, of course, the overwhelming Renaissance architecture! 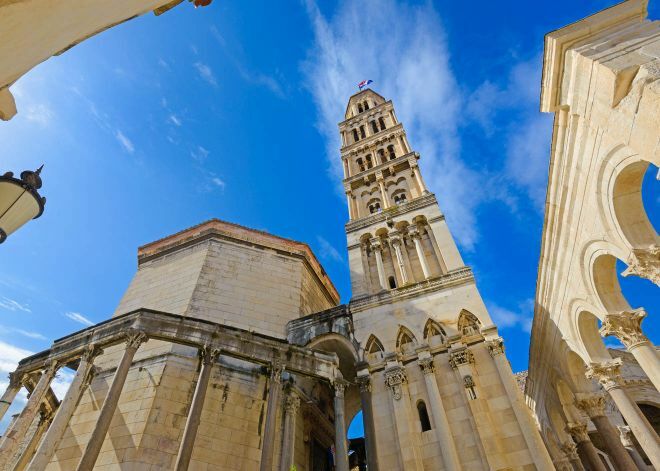 While you are in the Old Town, make sure to visit Diocletian’s Palace – this is one of the top things in Split! 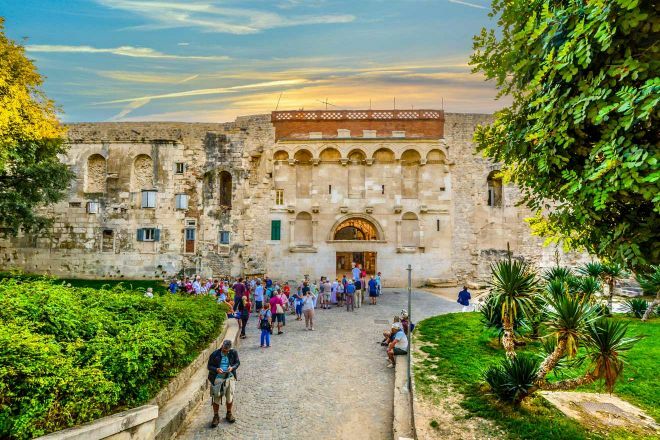 It is a marvelous landmark of the past, built in the 4th century and it contains a military camp, as well as the villa where Diocletian retired. It is actually a gorgeous citadel and yes, some Game of Thrones scenes were filmed here! You will see the Diocletian’s incredible Egyptian sphinxes and many stone statues. While roaming the Old Town’s streets, make sure to go to Peristyle square. This is the central square of the Palace, made of red granite pillars. Its stairs will lead you to Jupiter’s Temple, which is also very beautiful! You may be surprised to see that people live there nowadays and it is full of beautiful little shops and some of the best restaurants in Split, Croatia. The Roman Emperor made it so fancy, that you can actually arrive at the palace by boat! This is the oldest Catholic Cathedral in the entire world! Make sure you don’t miss visiting the Cathedral of Saint Dominus, dating from the 7th century as well! It has a truly impressive history! It is also the most well-preserved temple in Europe! 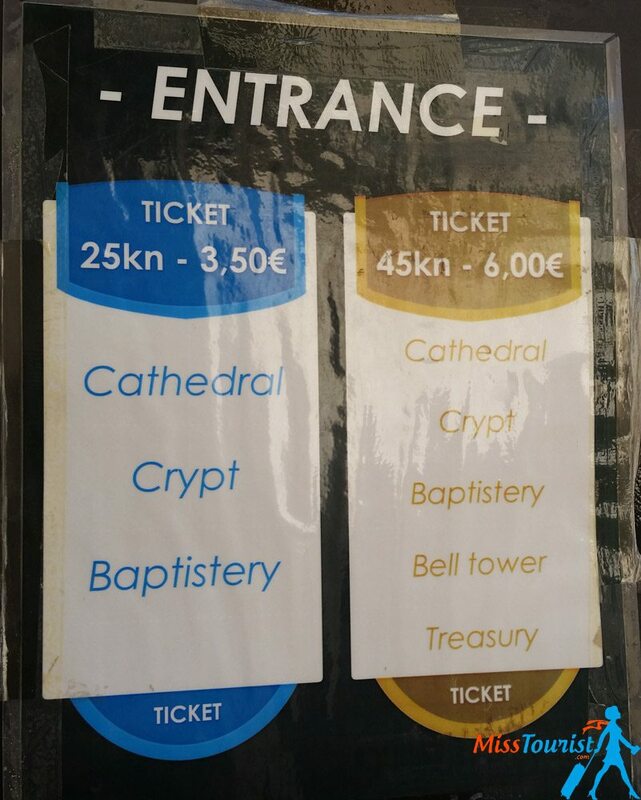 Entrance price for Cathedral, crypt, baptistery is here. If you want to have the best view of the city, climb up to the Bell Tower – it is a unique experience that you definitely won’t regret! If you want to know which are the greatest hotels to stay in Split, here is my article with Best Hotels in Split, Croatia – Accommodation Recommendations. Marjan Hill is a fantastic spot overlooking the whole city where I stared in awe for a few minutes. You have got to see it in order to realize how beautiful Split peninsula actually is from above! Marjan Hill is located on the West side of the city and it is 170 meters tall! It’s the perfect place to go if you want to get away from the hustle and bustle of the city for a little while, as it is surrounded by beautiful pine and cypress trees! If you have some more time on hand, make sure to also visit the two churches situated on the hill (St. Nicholas and St. Jerome) and the Jewish Cemetery (located on the Eastern part of Marjan Hill, Split), full of old, beautiful tombstones dating from the 18th century! HOW TO GET THERE: From the waterfront (Riva), take the steps up (ask for “Marjanske skale”). In maximum 10 minutes, you will understand that you have found the spot which I am talking about, as it will take your breath away with its beauty! It will also make you forget about all the efforts that were needed to get there! If you want to enjoy this hidden paradise for longer, there is a nice coffee shop (Vidilica café) right on top of the hill and it has one of the best coffee in Split, Croatia! 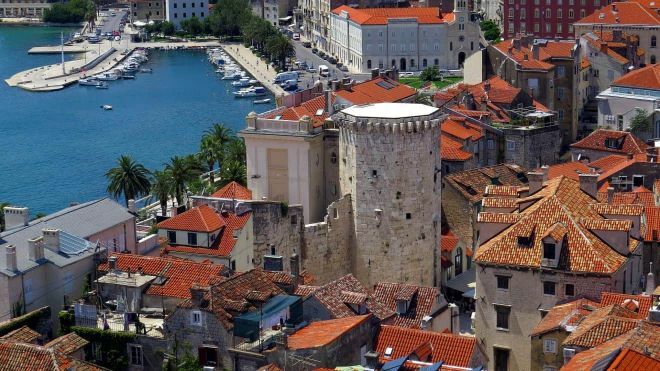 If you are short on time and you want to make the best out of your Split vacation, make sure to take a tour of the Old town. I recommend you go for this one – I truly loved it! My visit to Split would’ve been incomplete if I wouldn’t have taken this tour! Our guide, Danko, was incredibly knowledgeable of everything that concerns Split and Croatia as well. He kept giving us interesting (and fun) information for 2 hours straight! I actually think I will take the tour again when I am back in Split, just to remember all those little fun details he told us about the city. The tour starts every day at 9 a.m. near the Gregory of Nin monument. Your guide will be waiting for you with a blue umbrella. The price is 22€. You can check the updated schedule and pricing on their website. 4. Take a walk on The Riva – Split’s Harbour! The Riva (official Croatian name is Obala Hrvatskog Narodnog Preporoda) is the port of Split and it is just the perfect place for your evening walk. The place is full of cute little cafés and bars, beautiful buildings and even palm trees and it is set right near Diocletian’s Palace! This means that you will have a truly authentic view over the city’s most famous landmark and the Adriatic Sea at the same time! 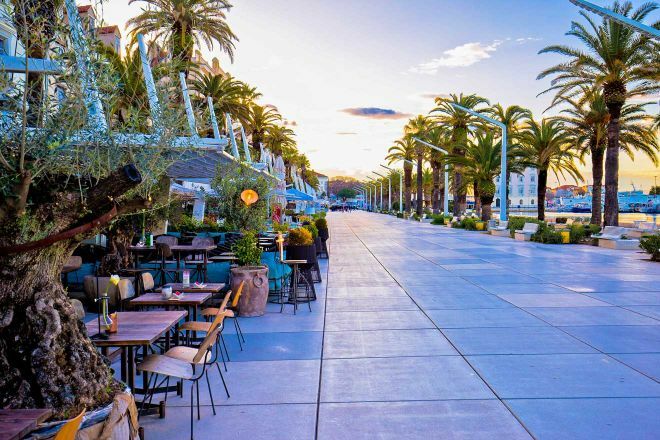 I recommend you take a nice walk in the city’s most popular relaxation area and finish the evening with a good Croatian coffee, beer or wine, served on the waterfront. If you are lucky, you can also see a live music performance set in open-air while you’re there! Normally, for me this would be the number 1 activity on my list across all the Mediterranean! 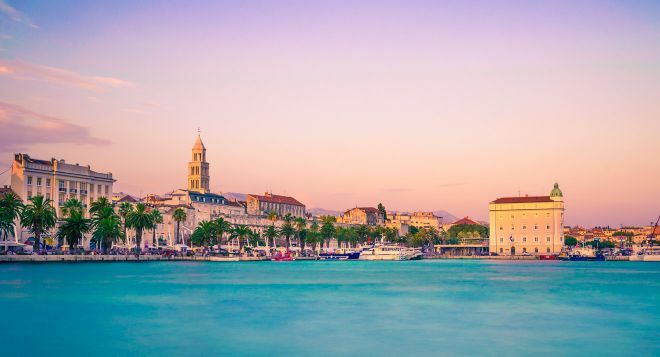 Split is a very authentic city, but it is also famous for its great beaches! Bačvice Beach is one of the best beaches in Split, Croatia – this is a very nice beach and it is the closest to the city center. It is located only 10 minutes away by foot from the city’s ferry terminal and main bus station. The beach is not fancy, but it is a nice place where you can relax and enjoy some drinks – I can recommend Žbirac bar for this! Some other gorgeous beaches that are worth checking out if you have some more time are Zvoncac, Ovcice, and Firule, and they are easy to reach too! 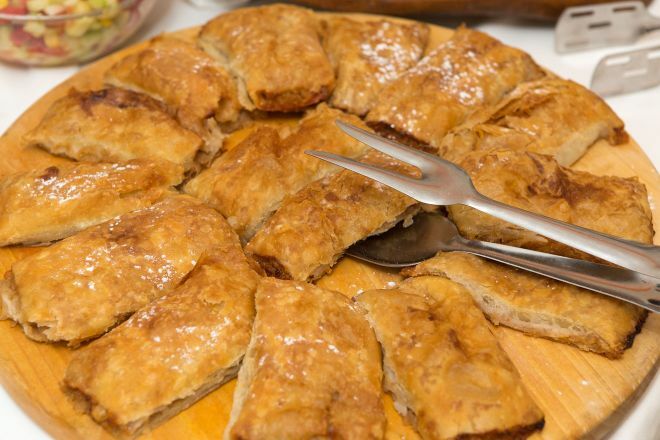 Of course, no Croatian holiday would be complete without trying some of the country’s best culinary delights, right? The traditional meal consists of grilled fish, seafood and meat, but there are so many good restaurants in Split, Croatia that it will be very hard to make a choice! Some of Split’s best restaurants are: Mazzgoon, Bokeria, Zinfandel, Appetit, Konoba Hvaranin and the list can go on forever. If you are looking for the best breakfast in Split, Croatia I would recommend Brasserie no. 7 and Crème de la Crème. PRO TIP: If you are looking for something to eat at night and everything is closed, you should know that there are 2 bakeries that are open 24/7 right near the market in the main square. Split is a great gastronomy point in Croatia and it is the perfect place to try some traditional food. All types of seafood – Split is located so close to the sea, that it would be a sin not to try some of the fresh catches of the day! From all the fish dishes out there, you have to try gregada! This is a fish stew with potatoes, olive oil, and fresh herbs and it is a local specialty. The best Split restaurant to serve it is Konoba Hvaranin! Coffee – Croats are big coffee lovers, so you will find all the existing varieties of coffee here. This can be easily explained by historical facts: Croats were under the influence of Italy and Turkey for so long, it became their own tradition, too! 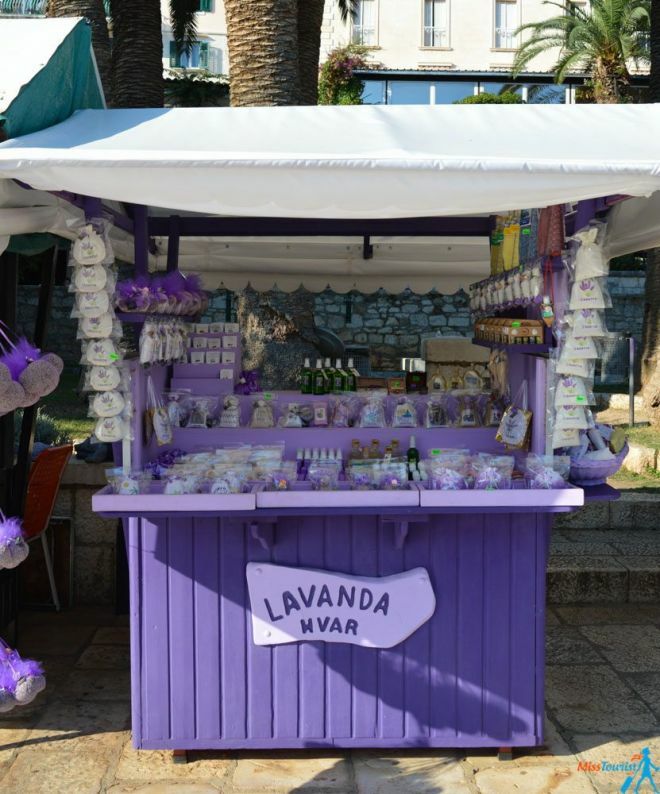 Lavender ice cream – I don’t know if you would like it, as it really depends on your taste – lavender ice-cream has a very specific taste that you either hate or love it! I was in the first group, but I am glad I tried it just for the sake of experimenting something new. 7. When in Croatia, do what Croats do – Play some Picigin! Do you want to become a world champion in some sport? Try Picigin! It is a unique, self-proclaimed Croatian sport invented in Split and everyone is invited to participate – this is why you must add it to your Split to-do list! You have to stand in the water, about 1/2 meters deep, and your main task is to prevent the ball from falling into the water by passing it to the other players. The point of the game is actually to pass the ball in the most artistic way possible! There are referees who will give you points according to your performance, so Croatians take this game very seriously! It is truly a creative and spectacular process! You will definitely see some people playing Picigin on the beach during your Split vacation. 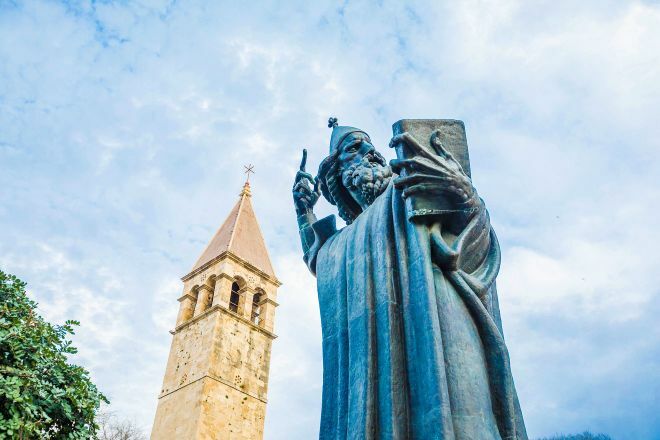 Grnur Ninski is an iconic statue in Split, located very close to Diocletian’s, which was created by the most famous Croatian sculptor – Ivan Meštrović. The sculptor spent a big part of his life in Split, and Meštrović Gallery is a well-known gallery where you can see his work and learn more about his life and career. You will find there around 200 sculptures and even sketches, as the museum is located in the artist’s Split house. Tip: Make sure to also admire the sculptures in the museum’s garden, which were also created by the same awesome artist! If you are an art lover, you can also go to Jaman Gallery! This is a Pop Art gallery with many colorful paintings by a local painter called Danijel Jaman. You will even find there a cute little shop where you can buy art-inspired souvenirs! Make sure you don’t leave Split without indulging in some of its best wine! Do you know what is Croatia known for? It’s wine! If you want to have an authentic wine tasting experience during your Split vacation, you can go to Putalj Winery, located only 20 minutes away from Split City. This winery can organize wine tasting tour with the transportation included from your hotel, but you have to make sure to book your tour in advance! The tour is 80€/person and you can see more details on their website. In case you are short on time and you can’t fit a winery tour in your schedule, don’t worry! You can also taste the best Croatian wine in Split as well, as there are many great wine bars around the city. Zinfandel Wine Bar in the Old Town is a great place to try! 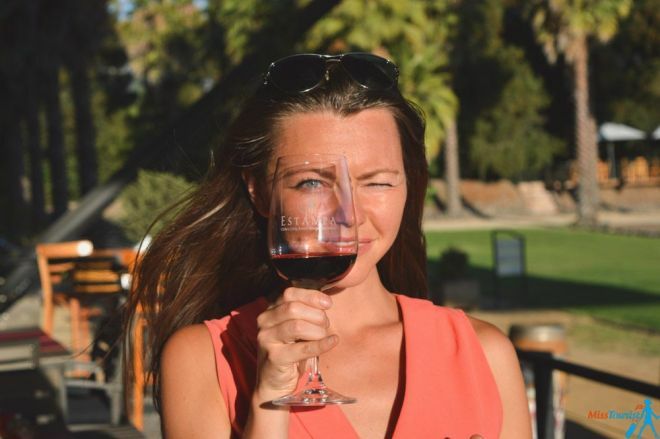 Another great idea would be to book a winery and food tasting tour in Split! The tour will show you the highlights of Dalmatian cuisine and you will also get to learn more about Croatia’s best wines! If you’re an art lover, you will find that Split won’t disappoint you! The city has many great museums with various types of exhibits! Split doesn’t have very famous museums, but the ones that are scattered around the city are very nice if you have some free time on your hands. Split Archaeological Museum – this is actually the oldest museum in Croatia! Here you can find Medieval Art, Roman and Early Christian art that will show you a better image of the area’s history. The admission fee is 2.7€/person (20 kn) for adults and 10kn/person for students, children, and seniors. Split Live Museum – Do you want to see how the old Romans lived in Split back in the day? This museum is the perfect place to find out! Plus, the museum isn’t called “Live Museum” for nothing! There are even small performances given by actors there, so this won’t be your usual boring museum experience! No entrance fee. Pazar is a very famous fresh produce market in Split and some people even call it “heart of the city”! This is because the market is full of vendors and old ladies selling fresh vegetables, fruits and flowers and all of them are more than willing to bargain! Pazar Market is located right near the East side of the Diocletian Palace. Even if you don’t want to buy anything (which will be hard, as there are so many delicious things there! ), you should still go visit the place in order to get some great energy and enjoy the true colors of the Mediterranean food and the amazing smells. Pazar Market is open from 6.30 AM until late in the evening. PRO TIP: If you want to bargain and get great produce for a way smaller price, try going to the market in the evening, a little earlier than the closing hour! That is the perfect time to negotiate! 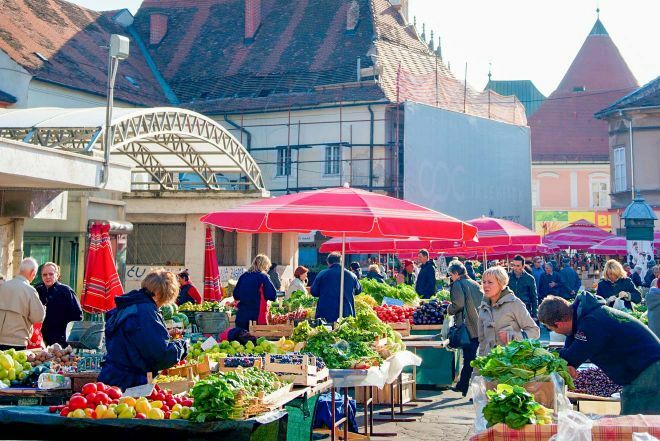 If you enjoy this kind of activities, you should also check out Split’s fish market – Peskarija, which is located in the Western part of the city, next to Marmontova Street. The fish market is open from 6.30 AM until 2 PM. 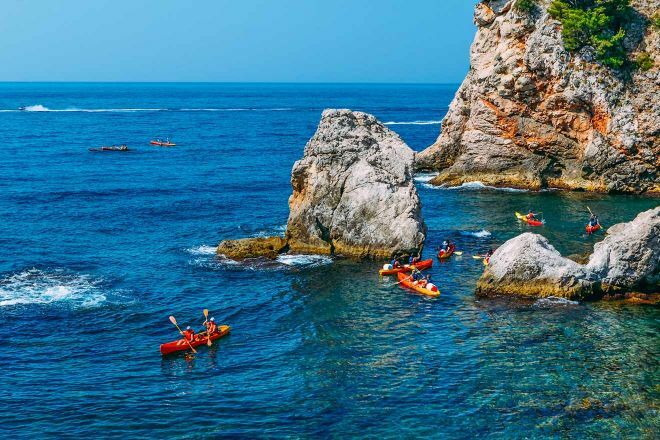 If you’re an active traveler, you should take your Split vacation to the next level by trying sea kayaking! There are two types of kayaking tours you can choose from: a morning tour if you are an early bird or a sunset tour if you want to enjoy the sea during the most beautiful time of the day! 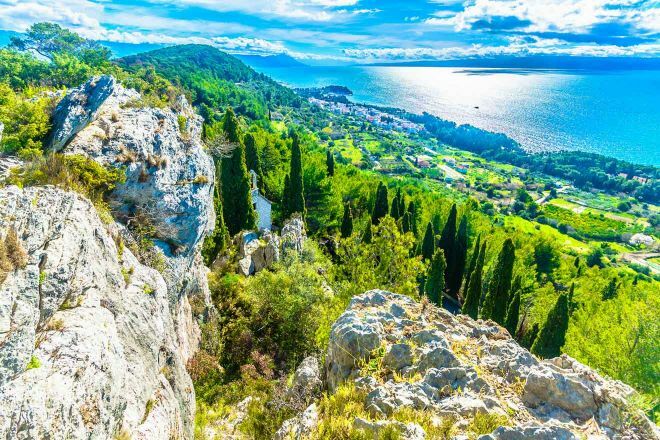 Regardless of which tour you will choose, the exploring area is near Marjan Hill, which is indeed the perfect place to explore Split’s coastal line. Price: Each tour is 36€/person. 3. Try To Escape From A Room! If you like escape rooms, then you should try one in Split as well! 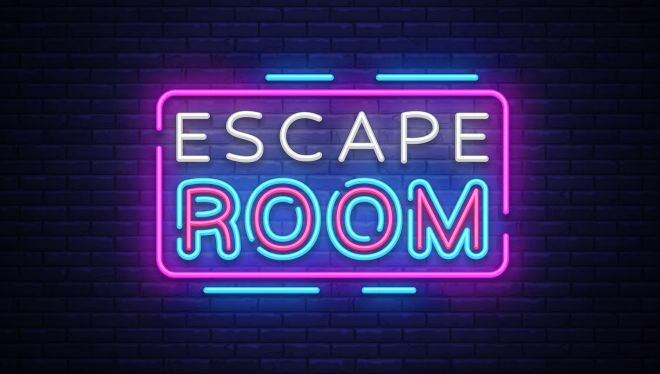 If you don’t know what an escape room is, the main idea is really simple: you will be locked in a room and you have to “escape” from it using the clues and objects that are around you! Room Escape Split is a great place to do this! They currently have an art-inspired “Da Vinci Room”, but you can check their updated rooms and prices on their website. Don’t worry, the rooms are in English! The price is around 54€ for 2 players, 61€ for up to 5 players and 67€ for 6 players. How does a day of sailing around the Adriatic Sea sound to you? I think it can be the best relaxation tour you can take during your Split vacation! 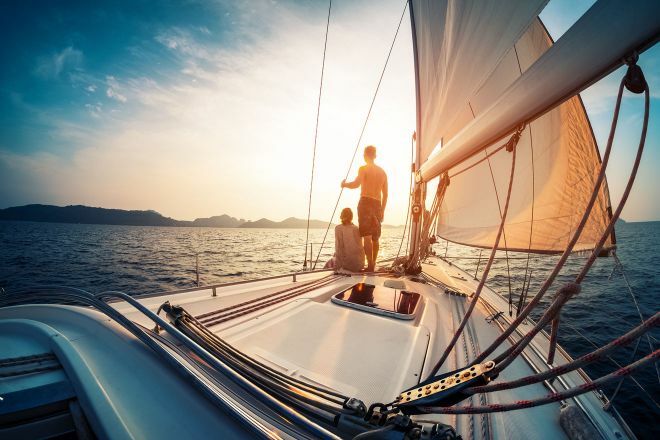 If you’re a fan of sailing, then a sailing tour on a beautiful yacht must be the best idea for you! 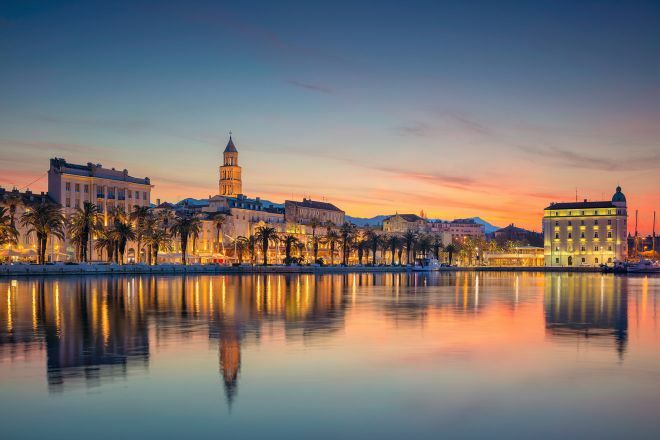 The sailing tour will show you the Split Riviera in an unforgettable way, with live music, food and lots of fun! There are two options for your sailing tour: you can either book a 6-hours sailing tour in Christopher Columbus’ flagship with lunch, drinks, swimming, and snorkeling or a short 2-hour sunset tour with live music and finger food. The price for the 6-hour tour is 67€/person and the 2-hour sunset tour is 40€/person. Zip-lining might just be the most extreme and unusual thing you can do in Split! Cetina River Canyon in Omis is located only 20-km away from Split and it’s the perfect place to try zip-lining! If you don’t know what this is, zip-lining is the action of going down an inclined stainless steel cable while you are attached to a moving pulley! 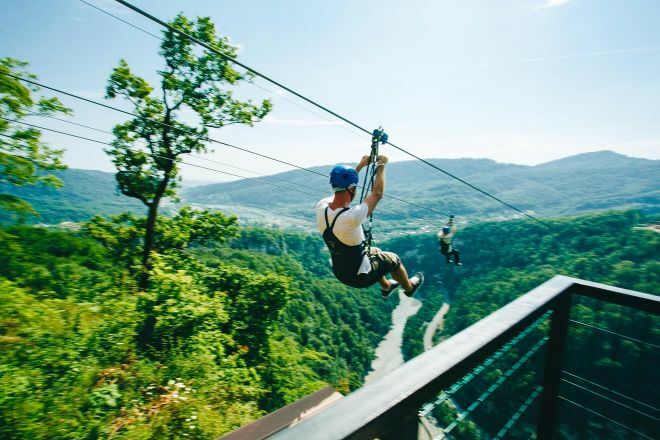 You will be hanging 150 meters above the canyon and the view is truly amazing! While you’re there, you can choose from different zip lines that have different lengths and heights. This tour includes a transfer from Split, so you don’t have to worry about anything! Just make sure to bring some food and snacks with you. There are many tiny gorgeous islands around Split, as well as beautiful National Parks, ancient fortresses with Game of Thrones vibes, and many other cool things that can easily be visited during a day trip from Split! Feel like discovering more of Croatia? Here are 8 Charming Towns in Istria that you can visit! I would be hiding some priceless info from you if I would not tell you about the islands around Split! There are some marvelous Croatian islands located so close to Split, that it is a crime not to visit them at least for a day trip! I did not have much time on my hands, unfortunately, but I really wanted to see the paradise islands for at least a day, so I took a one-day tour to the Split Marina. Does that sound like too much for 1 day? You will get to see many things in only one day as the tour takes 12 hours, so you will have time for everything. It definitely did not seem rushed to me! The town we visited was cute and very authentic. Its narrow old streets of cobblestone, hanging gardens, old staircases – everything brings up the picturesque serenity of past ages. 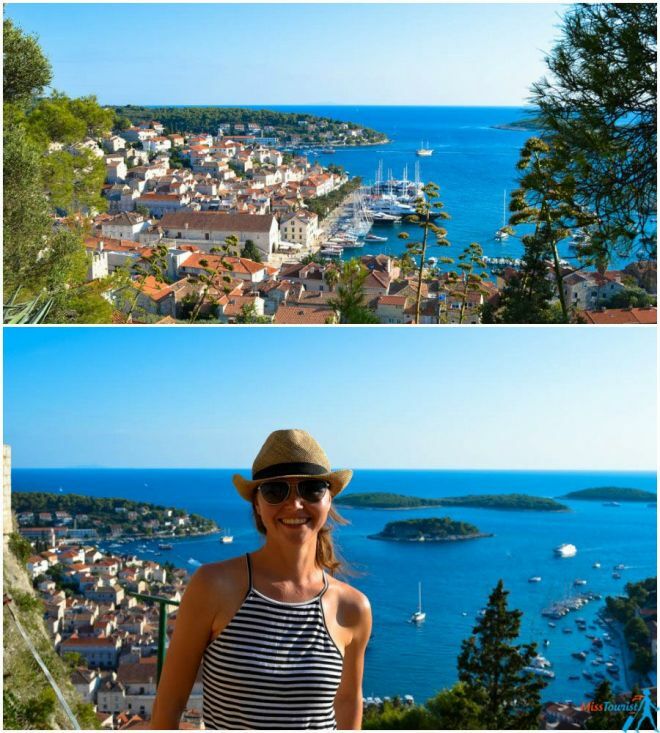 Hvar island in Croatia has its invisible charm and it offers endless photo opportunities! After your guided tour you will have some time to roam freely in Hvar. I recommend you go up the hill, as the view over the whole island is truly remarkable! The boat will take you back during the sunset and you will come back to your hotel full of emotions! P.S. I also loved this new type of snorkeling mask – it’s so much more comfortable. If you want to get your own mask to play around in your Croatia trip, check its price on Amazon! Klis is an ancient fortress full of amazing landscapes and history and a famous battlefield where the Mongols, Ottomans and many others fought for power in the old days. 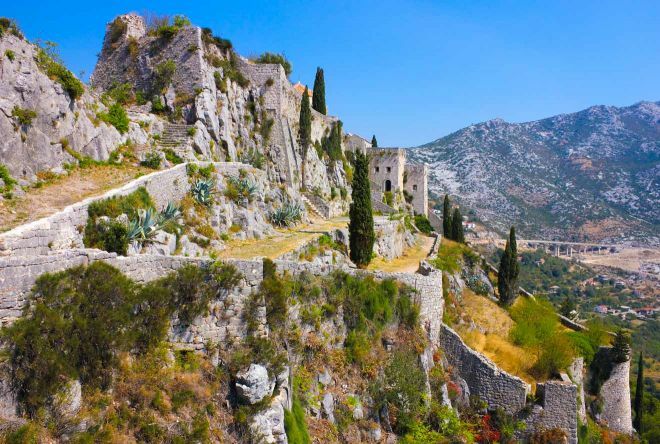 Kliss Fortress is the perfect place to go if you want to teleport yourself to Meereen – a famous Game Of Thrones city! Yes, it’s true! Kliss Fortress is so beautiful, that the producers of Game of Thrones have chosen this magical place to depict Meereen, one of the famous cities liberated by Khaleesi. The fortress also offers a superb panoramic view over the Dalmatian Coast. You can visit this place by yourself if you decide to do the car rental in Split, Croatia or you can take a Game of Thrones tour from Split. The tour will show you famous Game of Thrones locations such as Diocletian Palace and Žrnovnica and you will finish the tour with a torchlight dinner at Kliss Fortress! If you would prefer a longer tour in Salona, Kliss Fortress and Trogir, you can book this 11-hours tour instead. 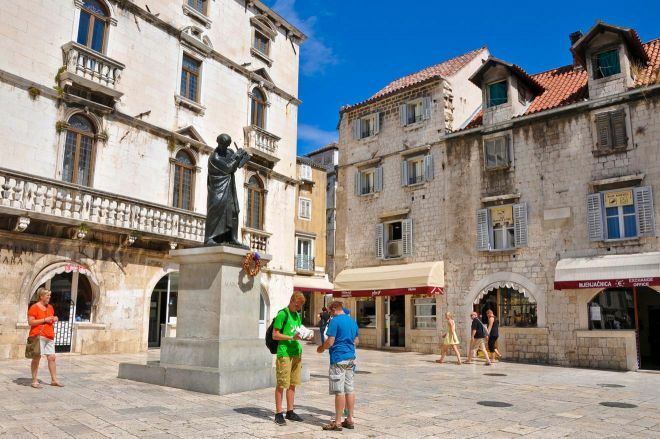 Just like Split, Trogir is a UNESCO World Heritage Site with a great medieval vibe! Trogir is a small city-island located an hour away by ferry from Split and half an hour away by car. The city is full of Gothic and Romanesque architecture dating from the 15th century and small, charming streets. You can see the entire city in just a couple of hours or half a day if you have some more time available. 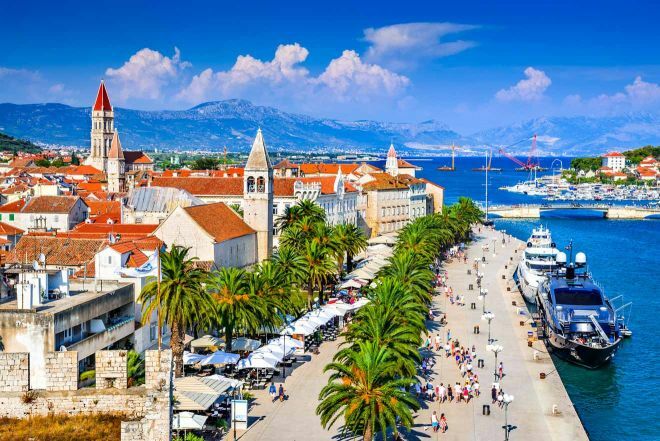 If you don’t have a lot of time but you still want to experience the best things to do in Trogir, Croatia, you can take a quick 5-hour city tour in both Split and Trogir! This way you will get to see both of these authentic cities! But if you would like to make the best out of your Trogir visit as well, I recommend you take this 1.5 hour city tour. Krka is a famous National Park located only 1 hour away from Split. During my Croatian trip, I went to Plitvice Lakes and I absolutely loved it there! I didn’t get to visit Krka (and I really want to come back now just for this! ), but I know that you can see there Stradinski Buk (a natural pool) and many gorgeous waterfalls! If you would like to go to Krka as well, I suggest this Krka Waterfalls and wine tour from Split. It takes 9 hours and you will get to enjoy and swim under the waterfalls and then taste some delicious wines at a winery in Šibenik City! 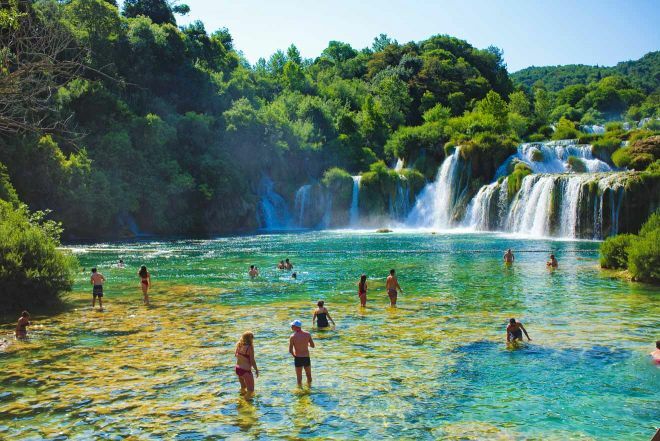 Want to explore some more amazing places in Croatia? You can read my article about 8 Things You Should Know About Plitvice Lakes! There are many great places to stay in Split and I wrote about them in my article about Best Hotels in Split, Croatia – Accommodation Recommendations. I stayed in a 4-star hotel called Hotel Fanat. This is a pleasant and clean hotel located right in front of the sea. As I was very satisfied with my hotel and wanted to stay longer in the beautiful city of Split, I even prolonged my stay there! 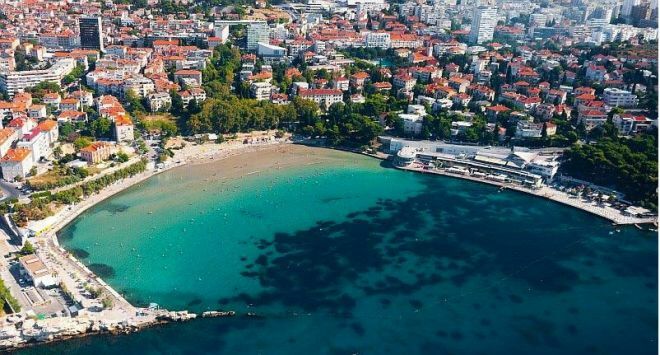 The hotel is just 20 meters away from the sea – you just need to cross the road and you have arrived on a Split beach. In the evenings, you can pamper yourself in the sauna and the swimming pool which can be used by the hotel’s guests free of charge. I took advantage of it every day! Remember, however, that the hotel is located 3 km away from the city center. This is an enjoyable walk along the seaside if you don’t mind walking. Alternatively, you can take a bus or a taxi. This hotel is the perfect option if you are seeking tranquility and high-quality services! Book your stay with Hotel Fanat here! I have created a list with some of the best places to stay in Split, Croatia and grouped them by different price categories for your convenience. All of the hotels I’m recommending have fabulous reviews and are located very close to the city center! 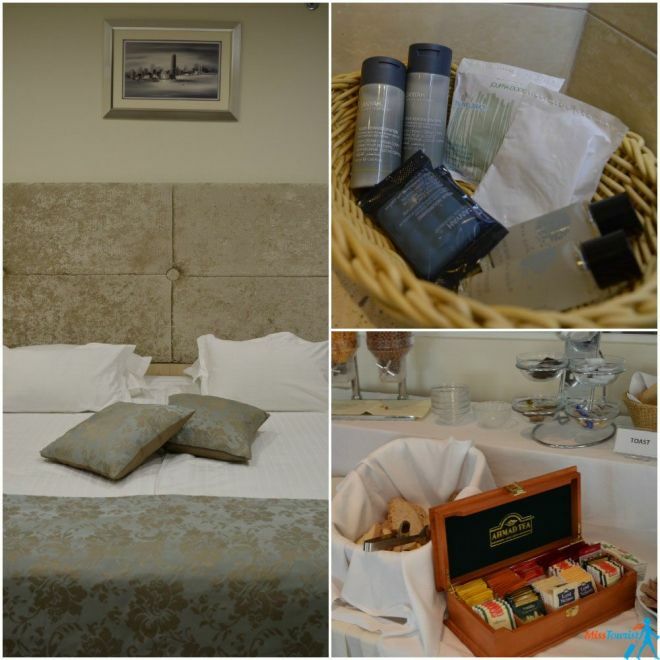 Luxury stay (100€ and up) – Luxury Rooms Lucija and Luka – if you are looking for some of the best luxury hotels in Split, Croatia, you should know that this accommodation is located in the heart of the Old City! The rooms feature oaken furniture, as well as exposed stone walls, which I think is a great design choice. If you are more into apartments, I recommend staying in Guest House Imperial – this accommodation has an amazing sea view patio and it is fully equipped, spacious and tastefully decorated. Middle-priced (50€ – 100€) – Guesthouse Villa Scalaria has pretty and neat rooms and contemporary design. This guesthouse is perfect if you are looking for hotels in Split Old Town, as this one is located very close to the main attraction of the city – Diocletian Palace! If you prefer apartments instead, Apartment Onyx is an ideal choice – centrally located, fully equipped, with great decor and Wi-Fi access! Budget stay (up to 50€) – Tchaikovsky Hostel Split is one of the best hostels in Split, Croatia, located in the Old Town, with great vibes and great prices if you book in advance. I stayed there for one night too! If you are a couple or 2 friends, a great budget choice would be Studio Apartment Nani Centar – clean, with great reviews, fast internet, and a great, central location! The fastest way to get to Split, Croatia is by plane. Split Airport is located 24 km outside the city and there are city buses connecting the city to the airport. 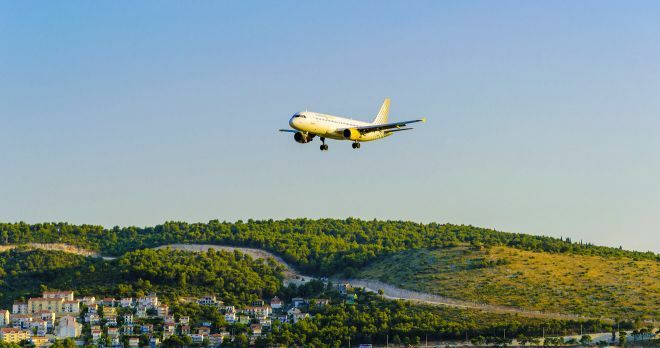 You can fly to Split directly, or you might need to take a connecting flight from Zagreb in case you are taking a Transatlantic flight. I was very happy to find out that you can get to Split by train. The trains are very comfortable and I reached Split as part of my 30 days Eurail trip done all completely by train. Alternatively, you can get there by bus. I recommend checking out Autotrans. They go everywhere, they are always on time and they even have affordable prices. Plus, you will get Wi-Fi on board! You get a 5% discount if you book it online (click to Offers and Discounts)! The best choice would definitely be to rent a car, as the coast is so beautiful to see during a road trip! If you are renting your car for more than 7 days, you usually can get some great discounts! Please note that there are no trains from Dubrovnik to Split as Dubrovnik does not have a train station. 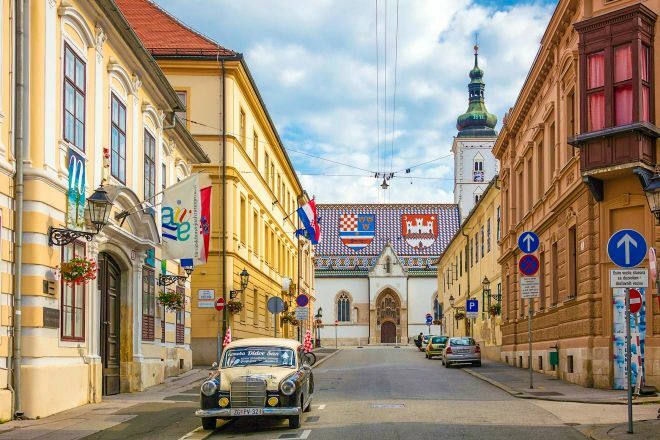 1) You can rent a car in Croatia – this is the easiest and the most beautiful way of getting anywhere in Croatia without worrying about bus tickets and schedules! 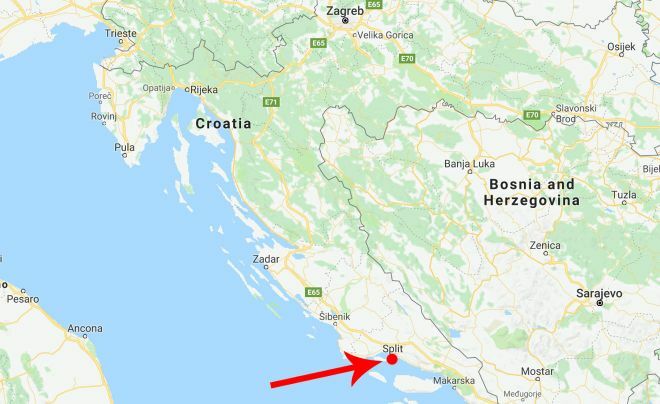 NOTE: The road from Dubrovnik to Split and all the way around goes through a small portion of Bosnia, so you will need to present a valid passport. If you are not from Europe, Canada, US, Australia or New Zealand, you must also have a Schengen visa with you. 2) You can get from Dubrovnik to Split by bus. The ride takes around 4 hours and a half and the buses run every 1 or 2 hours, with the price for a one-way ticket being around 16€ (120 kn). You can check the updated timetable for the buses and book your ticket online on Bus Croatia website. The prices vary from 13.5€ (100 kn) to 17.6€ (131 kn). NOTE: Don’t forget about your passport or Schengen visa, as you will cross the small portion of Bosnia with the bus, too. 3) You can also get from Dubrovnik to Split by ferry/catamaran using Krilo. The price for a one-way ticket is around 23€ (170 kn) but the schedule is a bit complicated: starting May 2nd – June 1st the boat runs 4 times a week; from June 1st to October 10th the boat runs daily and between October 10-31 the boat runs only 3 times a week. Sadly, between October 31st and May 2nd is the off-season period and there is no ferry or catamaran between the two cities. The boat isn’t direct and it stops at Brac, Hvar, Korcula, and Mljet. The Krilo boat leaves Dubrovnik at 4 PM and arrives in Split at 8.30 PM. Check the exact schedule for your desired date on Krilo website. 4) Another option would be to go from Dubrovnik to Split by plane, using Croatia Airlines. Please note that the direct flights don’t run every day, so you should check the exact schedule and price for your desired date on their website. The options and prices are the same: you can rent a car or take the ferry, plane or bus to Dubrovnik from Split. The Krilo ferry/catamaran leaves Split at 7.30 AM and it arrives in Dubrovnik at 12.00 PM. 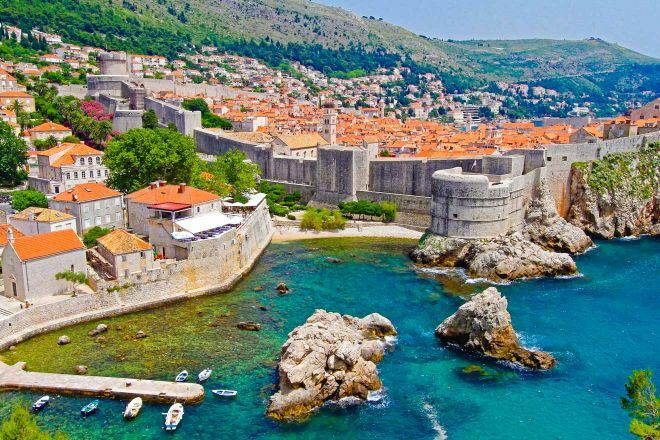 NOTE: If you are taking the bus or car, the road from Dubrovnik to Split and all the way around goes through a small portion of Bosnia, so you will need to present a valid passport. If you are not from Europe, Canada, US, Australia or New Zealand, you must also have a Schengen visa with you. 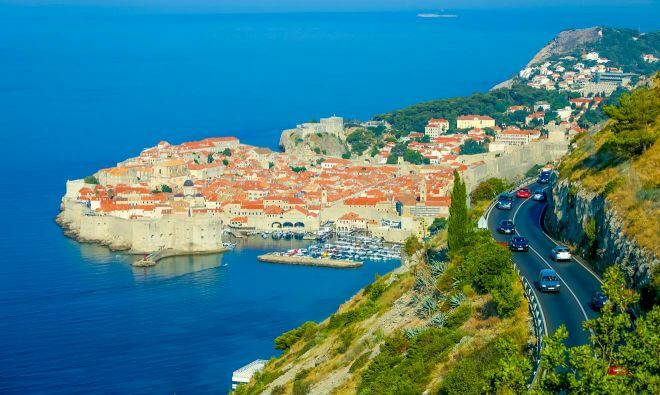 1) You can rent a car in Croatia – this is the easiest and the most beautiful way of getting anywhere in the country without worrying about bus tickets and schedules! 2) You can get from Zagreb to Split by bus. The ride takes a bit more than 5 hours and you can check the exact bus schedule and book your ticket online on rent a car. The prices vary from around 13.3€ (99 kn) to 23€ (170 kn). 3) You can get from Zagreb to Split by train. There are 2 trains running daily from Zagreb to Split and all the way around, as well as a night train. The train ride takes a bit more than 5 hours. You can check the updated schedule on this website. The prices are almost the same as the ones for the bus. 4) Alternatively, you can get there by plane. Croatia Airlines has daily flights from Zagreb to Split and the tickets have different prices. The flight takes around 40 minutes and you can check their offers here. How to get from Split to Zagreb: The options are the same, with the same prices: train, bus or plane. From the airport, you can take any bus from the two bus stations located outside the airport. All of the buses departing from there will take you to the city center. The price for a one-way ticket is around 4€ (30 kn). 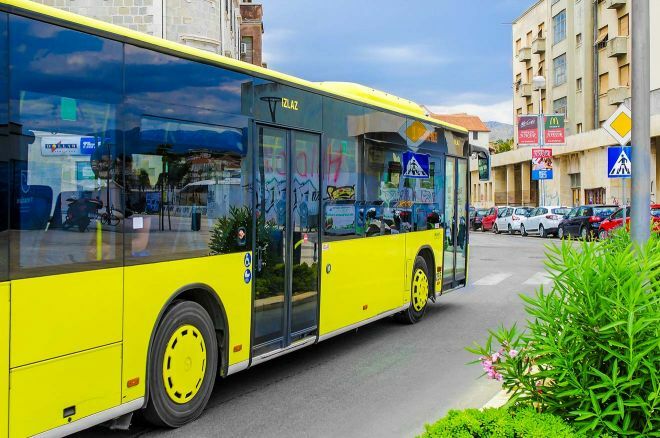 Alternatively, you can take bus 37 (this bus goes to Split and then Trogir) that departs from the main road in front of the airport. The bus will take you to “Sukoisan” bus station in 50 minutes. The price for the ticket is 2.30€ (17 kn) and you can buy it from the driver. You can check the timetable here. 2) You can also get from the airport to the city using Uber. The price is around 30-35€ (220-250 kn). A better option would be to take Taxi Cammeo, which has lower rates than Uber in Split. They have a fixed price of 25€ (190 kn) to and from the airport to the city center. If you want, you can pre-book your private airport transfer using this website. The driver will wait for you at the airport and will take you to your desired address. The price is 34€ for up to 3 people and 45€ for up to 8 people (divided between the number of people in the car). You can take an Airport bus from Split main bus station. This will take you to the airport without stopping along the way. Price for a one-way ticket is around 4€ (30 kn). Alternatively, you can take bus no. 37 from “Sukoisan” bus station (this is very close to Split Old City), but it will stop many times along the way. The ride takes 50 minutes and the price for the ticket is 2.30€ (17 kn) and you can buy it from the driver. You can check the timetable here. The third option would be to take an Uber to the airport or Taxi Cammeo. Taxi Cammeo has a fixed rate of 25€ (190 kn) from the city center to the airport. There are buses that can take you almost anywhere in the city. You can buy the tickets from the special ticket booths or directly in the bus. All Split buses run from 5 AM until midnight and buses 30 and 40 run even after midnight. Alternatively, you can take a taxi – your driver will most probably speak at least some English! I recommend Taxi Cammeo, as they have good rates for Split. The other option would be to take an Uber to get around in Split. If you prefer walking, that’s perfect, as the city center is not that big and you can get around that area easily by foot. Further Exploration: I suggest you go see the crystal clear the Adriatic Sea in Istria region. Here is my guide to help you get the most out of your Istria trip! Before visiting Croatia, I thought Croats are a nation similar to Russians because we share the same language family. By that, I mean a bit close-minded and gloomy (no offense to my home country, but we don’t really share emotions in public!). I could not have been more wrong! Croats are exactly the opposite! 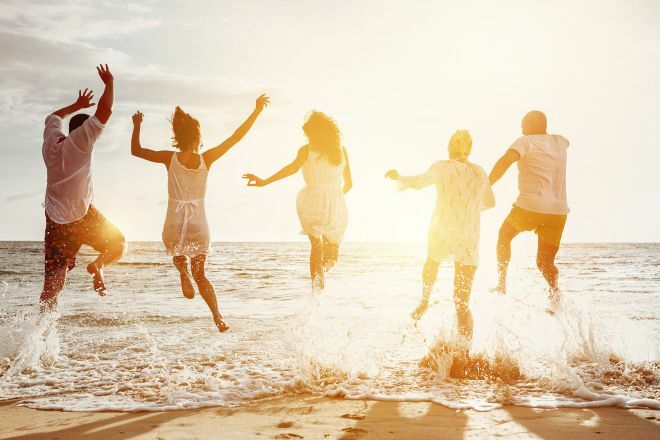 As the weather is great and the sea is so close to the city, Croats are more like Italians – sunny and very open, and they know how to enjoy their lives. They even have their own siesta time, just like in Spain. And Italy. And South of France. And Greece :)! Disclaimer: Sugarman tour, walking tour Split and Hotel Fanat have invited me to participate in their activities while I visited Split. My opinions will always stay my own. I absolutely loved my time in Split – I even had to prolong my stay there because of it and I would go back there in a second! In this article, we covered the Top 10 best things to do in Split, Croatia as well as some unusual things and some day trip ideas outside of Split, if you have more time! I also spoke about how you can get to Split and which are some great places to stay during your vacation in the city. 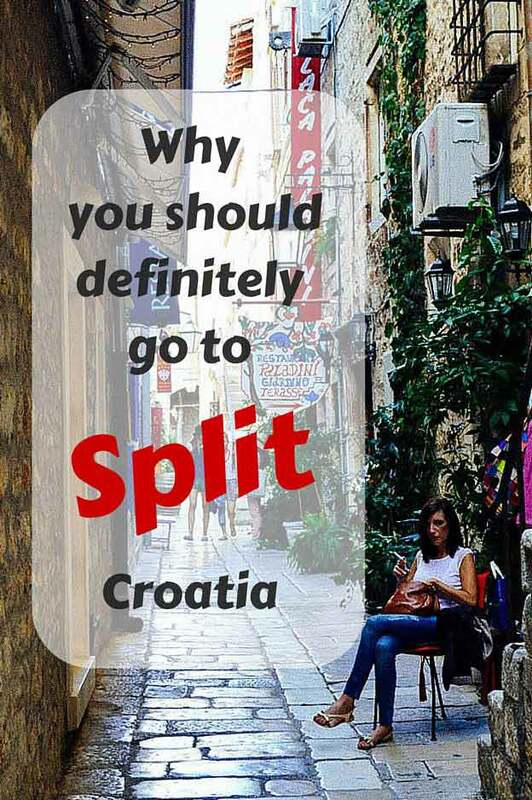 Have you been to Split? What do you think about this coastal Croatian city? 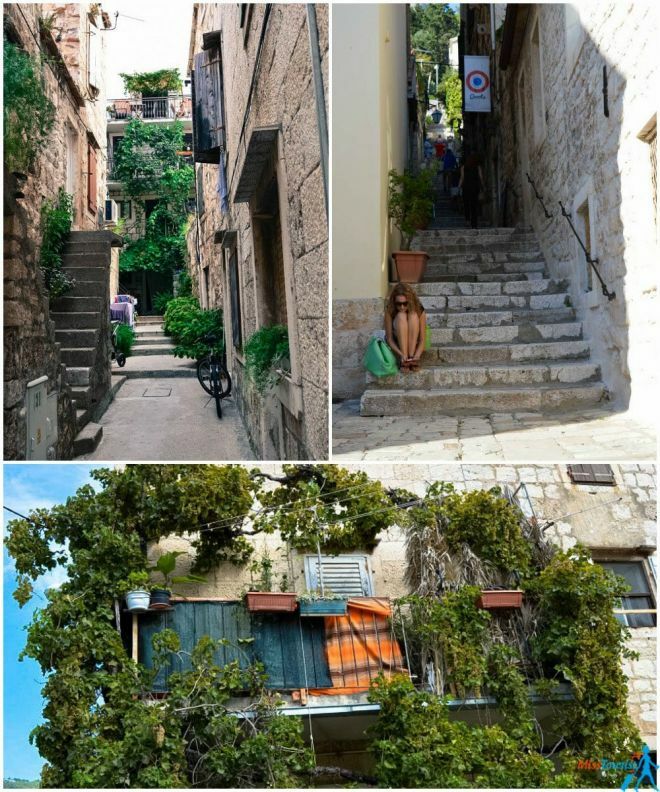 Pula, Croatia – the jewel of the Istrian coast! One more city to write down on my wish-list of cities i have ti visit. Thank you. Yulia thanks for great review of my Split. There is only one thing that needs to be cleared. In Split we don’t have siesta, that’s reserved for lazy people. We have Fjaka. You just got me so excited about going to Split! Thanks for the tips! I agree.. It’s from an area just north of Zagreb, called Zagorje. Hello dear, can you also recommend another daytrip like the one you had, but for a cheaper price? Or maybe different trips on different days. That would be very helpful. I think the price is more or less the same for the similar type of tour. You can do it by yourself, just double check about the ferry time and go discover. The only thing is, you definitely wont be able to visit the same much in one day! That was the main advantage for me for taking the tour! Glad you liked it! Enjoy your holidays! Thank you for the wonderful article. I am hoping to visit Split, Corfu, Lefkas and Athens this spring. And your article will be very helpful. How big is the problem of racism in Croatia? Split is my hometown and I agree with you, Yulia. Gone are the days when the Split was only a transit city for the islands. This city is today after Dubrovnik, a top Croatia’s destination, that deserves not a day or two, but a week. Thanks Yulia, for this article, I have added to my website. Great tips yulia.. one ques though- where did you take the first picture on top of the page? 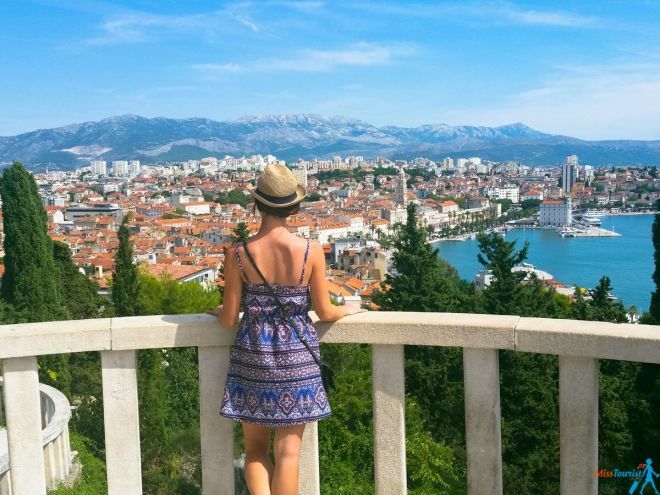 The one where you are overlooking the city of Split from a balcony like area? 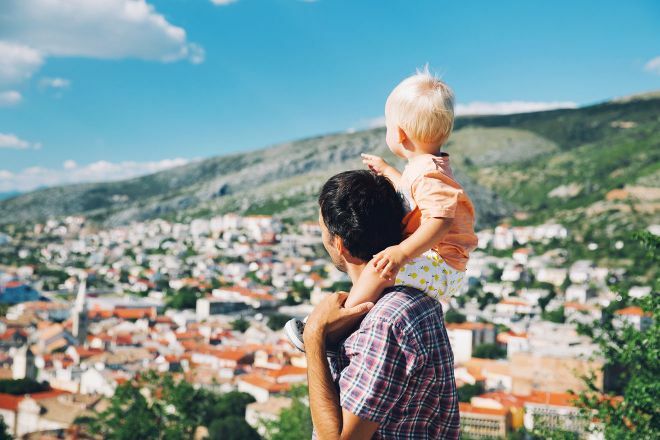 My father is from Split and I love how you described it! I wanted to reach out and say thank you. By reading your post I actually booked a trip while visiting Rome to Split. I am here as I type. It is as beautiful and fun as you explained. I think the younger generation is more open and nice the older women are eeeegh not so nice. I came here alone as a women I felt safe and still enjoyed myself exploring walking sight seeing. Thanks again! Aww, that is so awesome you did it! This post wasnt a waste of time then! I was also traveling alone there and I felt the same way – absolutely safe! The city has so much to offer in terms of its heritage, beauty, food, the islands around – I am so happy you went and it was worth it! And your question: Have you been to Split? Brought back so many nice memories. We took a train ride from Budapest to Rijeka and bumped into friends there and we all drive down to Split on a crazy road hugging the cost, seeing lots of car crashed down into to the Adria on that road, we survived. To me as a kid Split was the city where i saw the first Palm tree just ‘hanging out on the street’ not in an arboretum, and the water was so clean i could see the bottom of the small boats, also we shopped for breakfast in a farmers market in old town and we put everything on the top of the car. As we drove to a nice place found out we lost the entire breakfast. No food, no breakfast, no problem… awesome city. Such nice memories, thanks for sharing them! Very informative, thank you very much. Will be traveling to Croatia for a week from Zagreb to Plitvice, Split and Dubrovnik. Sounds like an awesome itinerary! Check out my post on Plitvice if you havent yet. Great description of Split! 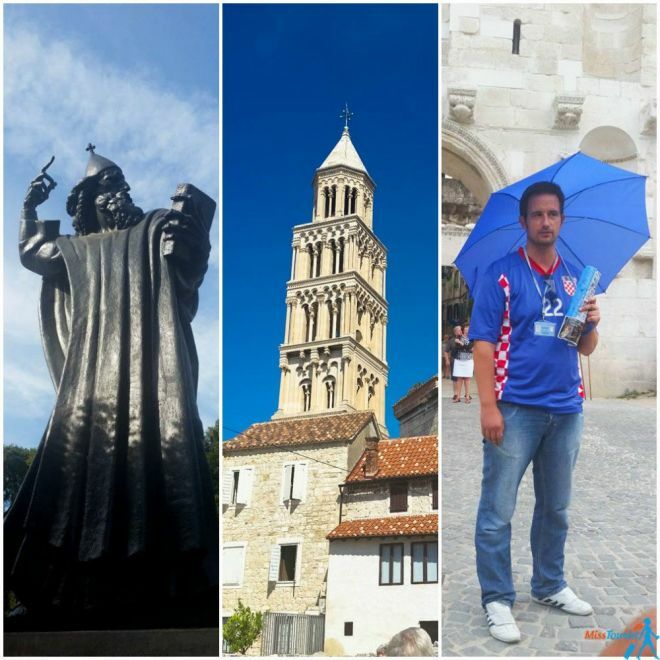 I am from Zagreb Croatia, I have visited Split few times, and I was able to re-leave memories with your article, even though I live in USA for the last 30 Years. Thank you, you have awaken my feelings and I would like to go visit again soon! happy i could awaken some memories! You should totally come back again when you have a chance! 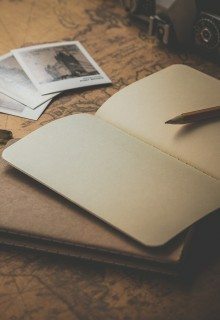 nice post , we will be visiting croatia for 8 days and of course visiting split and your blog is helpful. I see no reason why the tour would be not kids friendly (unless your 4 yer old is not comfortable with boats). i dont think it was hectic, but if you have doubts you can ask the tour organizer directly. I traveled by muself so I cant say with 100% certainty. Hope you will have an amazing time there! We are visiting Split in the middle of August. my original intention was to travel to Dubrovnik, and to swim around the city. I heard there are some bars you can access from the water. 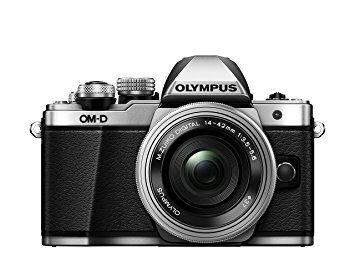 Is there a suggested way to take a day trip (I think it is a long drive), and tell me more about the swim/bars? 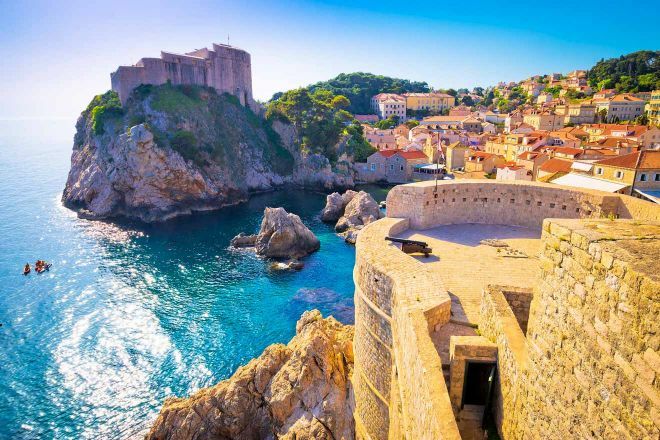 I Havent been to Dubrovnik yet, so i have no idea about it, sorry! Thank you very much for the recommendations! The 2 hour walking tour was excellent!! 🙂 Strongly recommended!